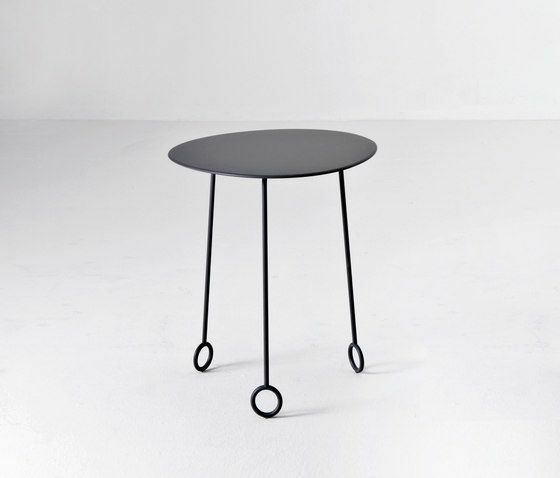 Little tables of various shapes and dimensions. MDF lacquered tops, curved steel lacquered legs, mechanically fixed to the tops. Stone River Coffee Table Small High Triangle W. 50 x D. 52 x H. 60 Small Low Triangle W. 50 x D. 52 x H. 37 Big Low Triangle W. 86 x D. 92 x H. 37 Small High Stone W. 62 x D. 53 x H. 60 Small Low Stone W. 62 x D. 53 x H. 37 Big Low Stone W. 104 x D. 96 x H. 37 Finishing: Matt Lacquered. W. 50 x D. 52 x H. 60 Small Low Triangle W. 50 x D. 52 x H. 37 Big Low Triangle W. 86 x D. 92 x H. 37 Small High Stone W. 62 x D. 53 x H. 60 Small Low Stone W. 62 x D. 53 x H. 37 Big Low Stone W. 104 x D. 96 x H. 37 Finishing: Matt Lacquered.